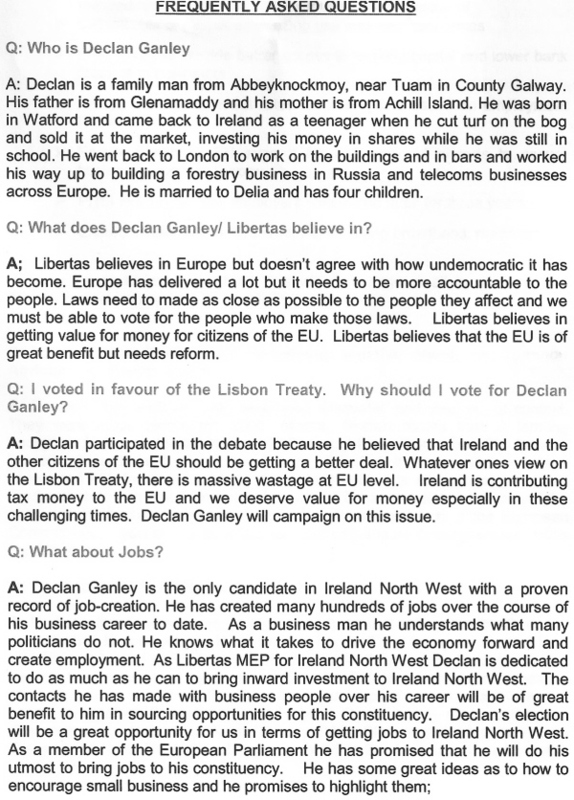 From the 2009 European Elections, A Frequently Asked Questions sheet for Libertas Canvassers. Lots of questions with appealing populist answers. 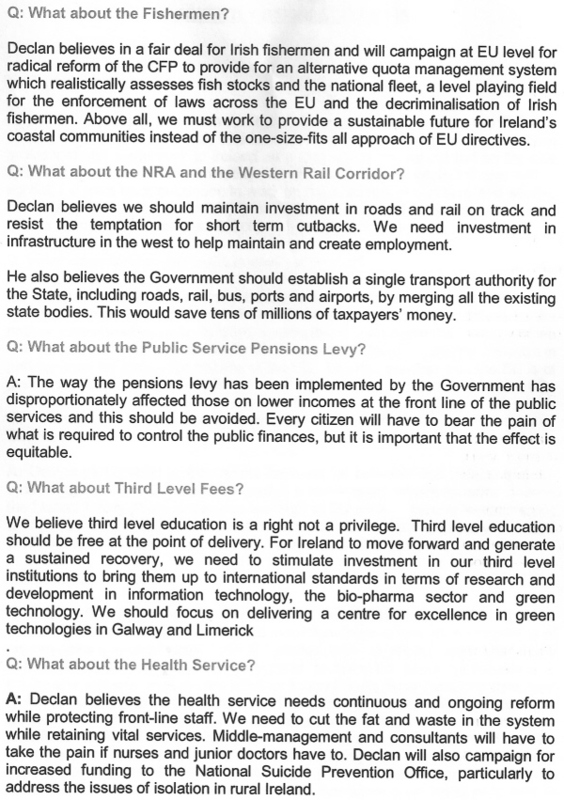 He also refers to the Turf cutting later on in the leaflet. 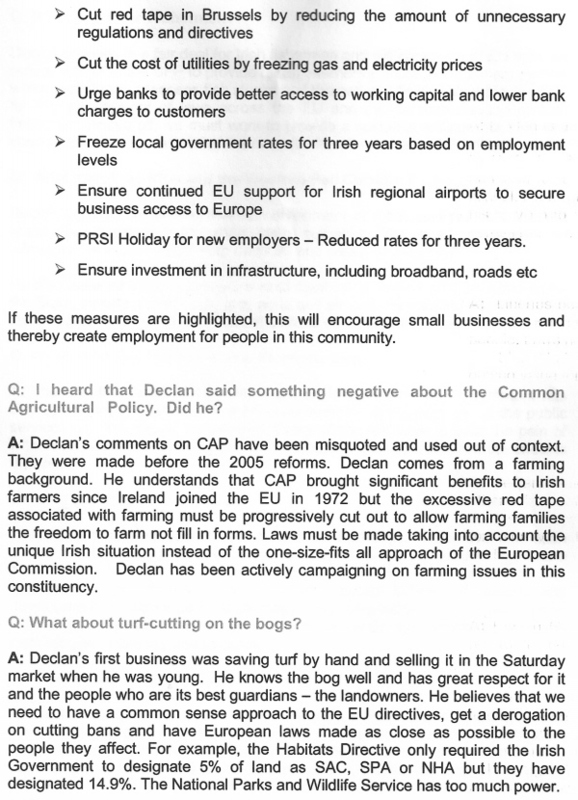 Is it true that Declan is a liar and a crook?